A presentation by Alexander Gorlizki and Sarah Victoria Turner. Gorlizki will give an illustrated talk drawing together some of the historical and philosophical aspects of Tantra. Turner will present the exhibition Thinking Tantra as a testing ground for rethinking the esoteric in relation to visual art. The event will be introduced by Rebecca Heald, curator of Thinking Tantra. Alexander Gorlizki’s illustrated talk Thoughts on Tantra draws together some of the historical and philosophical aspects of Tantra, its presentation in the West, its relationship to Western Modernism and Gorlizki’s interpretations of it through drawing. The artist Alexander Gorlizki is included in Thinking Tantra. He established a collaborative practice in Jaipur with master miniaturist painter Riyaz Uddin in 1996. From this time on, he also built up an extensive collection of early Indian vernacular drawings including tantric diagrams and yantras, some dating as far back as the mid-eighteenth century. 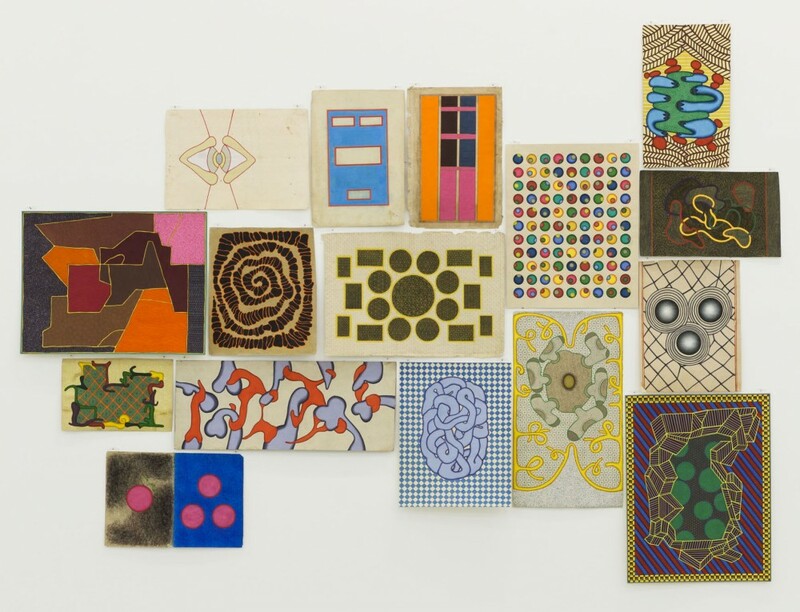 For this exhibition he shows works on paper that allude to this wide-ranging and historical material – esoteric and spiritual content is implicit, colour charts are used, while reference is also made to modernist western formalism. Gorlizki was born in London in 1967 and currently lives and works in New York, USA. Taking inspiration from the trans-historical perspective of the Thinking Tantra exhibition, Sarah Victoria Turner’s presentation Enchanted Modernities? explores the connections between modern artistic practices and esoteric movements, organisations and philosophies from the 19th century to the present day. Often relegated to a footnote in art and cultural histories, there is still much research to be done on the manifold interconnections between mysticism and modern artistic movements. Sarah Victoria Turner is currently the Deputy Director for Research at the Paul Mellon Centre for Studies in British Art and Senior Visiting Lecturer at the Courtauld Institute of Art. She is the co-founder of the Enchanted Modernities: Theosophy, Modernism and the Arts, c. 185-1960 research network.